Join us for this restorative and relaxing exercise course and you may be surprised by how great you feel afterwards! T’ai Chi is best described as a “moving meditation exercise” and is thought to improve circulation, balance, posture, strength and flexibility, as well as relieving the stress of daily life. 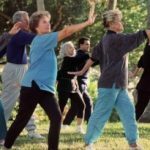 This slow-moving, gentle exercise program appropriate for every body type, age or physical condition is sponsored by the International Taoist Tai Chi Society. Classes are inside with panoramic Garden views. Students should come with comfortable clothes, shoes and an open heart and mind. 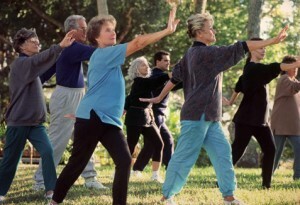 Registration price includes membership registration to the Taoist Tai Chi Society. Must have taken Beginning T’ai Chi. This is a 12-Week Class that meets on Tuesdays February 12th-April 30th 11AM-12PM.